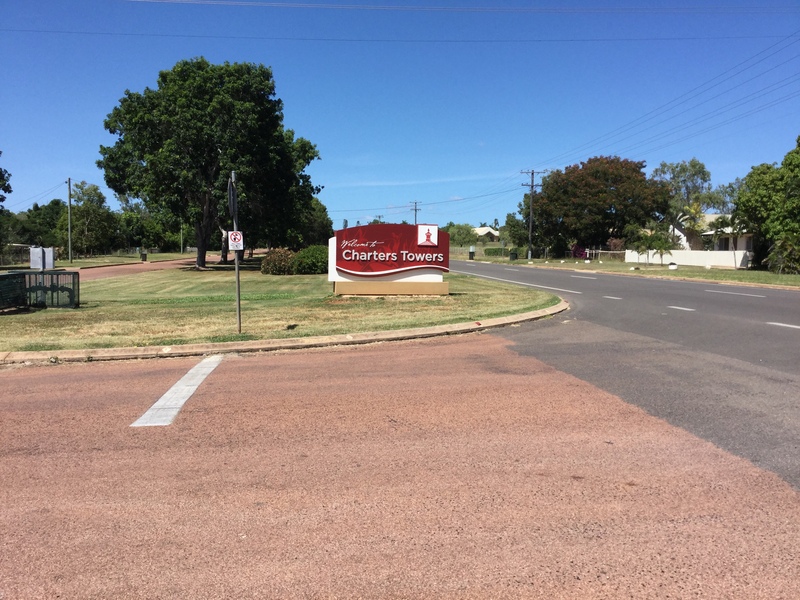 After another six hour trip filled with lots of lovely scenery and wildlife we arrived safely, around 3pm on Tuesday, 5th April, in sunny Charters Towers. 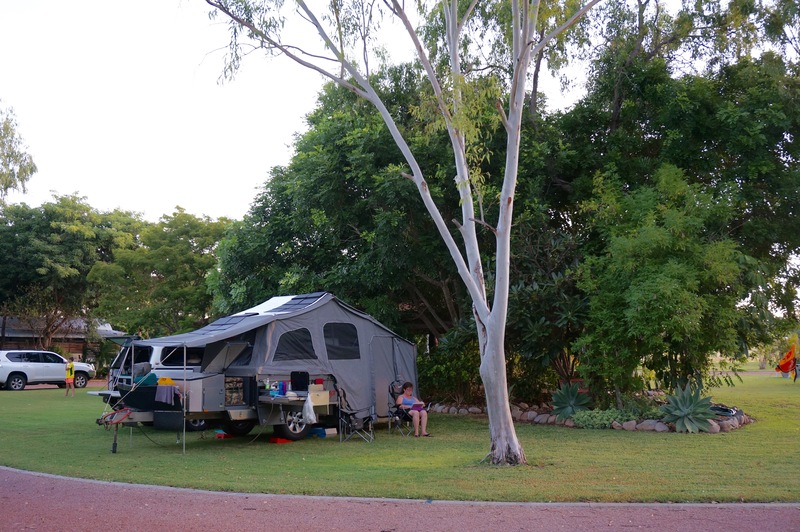 Dalrymple Tourist Van Park http://www.dalrymplevanpark.com.au was our choice for camping at here. Upon booking in host Tanya was very friendly and jovial. We received some beautiful date slice to enjoy with our cuppa once we set up. The park was very well presented, clean and beautifully green which was thanks to Brad as he zipped around in his golf cart or on the mower tending to the maintenance. Our patch of greenery was in the shade and right next to the camp kitchen which enabled us to have a bigger living area under cover without having to put up our annex. A quick cuppa and we set out to get some supplies and take a look around the town which was home for Murray from 1969-1971, his last three years of primary. First we checked out the pool for my swim the next day, then Woolies for supplies and last we found Murray’s primary school, Richmond Hill, not far from our caravan park and opposite the school he discovered his cub and scout halls, which as a child always seemed miles away rather than across the road. Cub and scout halls where Murray used to go, opposite the school. 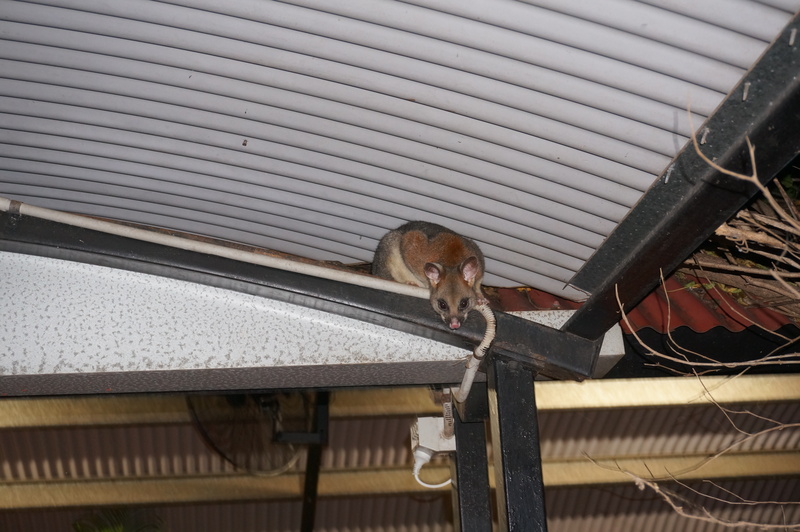 Our dinner guest on the first night. The next day we set out firstly for laps at the memorial pool, back to the caravan park for some breakfast, then off for some exploring of the Main Street with its old buildings which all had their own story to tell. The weir outside Charters Towers. Supplies town drinking water. 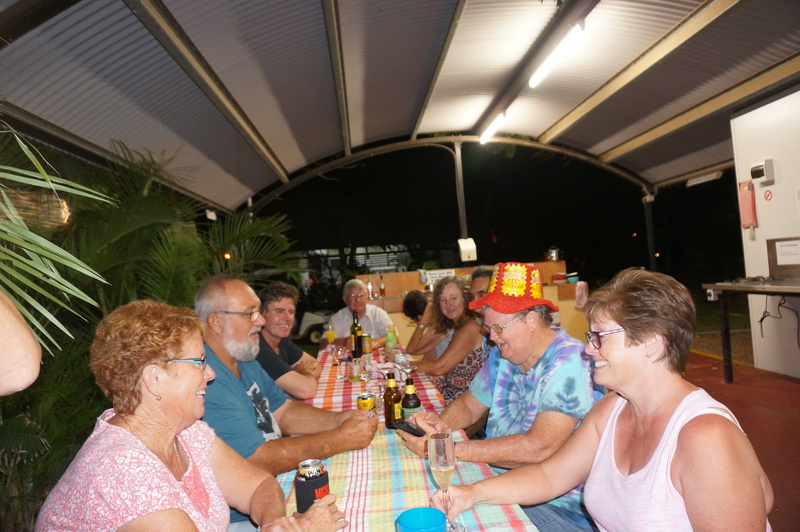 After this a trip up to the lookout to check out the town as a whole, then an exploration of the weir where local water supplies come from, a swim in the pool of the van park and then our beautiful dinner prepared by me and perfectly cooked by Murray. Barbecued grass fed rib eye fillet, caramelised pears and balsamic cherrytomatoes with capsicum and shallots. Gourmet and lip smacking. The van park comes with its own characters and one of them, Barry, was having his 76th birthday so we were asked to join in with everyone after dinner. We heard stories, had great laughs and made new friends and memories. The characters of the caravan park. We said goodbye to the towers Thursday morning and moved onto Townsville to see Murray’s brother, sister and families, and to enjoy more exploring and adventures. This entry was posted in everything, Life, Queensland, Travel. Bookmark the permalink.